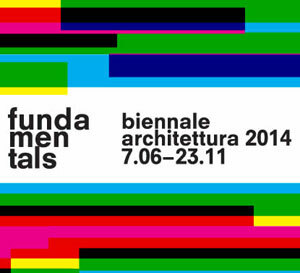 The Biennale is probably the most famous event occurring in Venice. As always, the attention of professionals and aficionados will point towards the old Maritime Republic for the 14th Biennale of Architecture taking place at the Arsenal and in the Biennale Gardens for 6 months, from the 7 June to the 23 November. There will also be the Biennales of Contemporary dancing, Music and Cinema at the same time. They have been integrated this year to the Architecture Exhibition, named “Fundamentals”, on the wish of Rem Koolhaas, the Dutch director of the event. As usually, countries of the whole world will be participating, 66 in this case, each with its own pavilion and with 10 of them attending for the first time the Biennale. This year, the national pavilions will be involved in the theme chosen by Koolhaas, “Absorbing Modernity 1914-2014”, which is an innovation. Europeans have always been fascinated by the Orient, a far-away, mysterious and magic part of the world to our eyes. 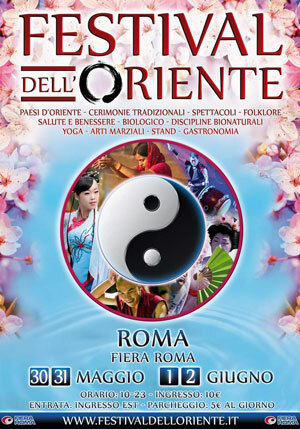 If you’re in Rome at the end of May, you’ll finally have the opportunity to satisfy your curiosity with the oncoming Orient Festival which is the biggest world festival on this theme with its 40.000 square meters area. In the same time in Fiera Roma will occur the fair “Il Mondo Che Vorrei” (The World I’d like). The two events are connected, that’s why you’ll be able to enter both with the same ticket. The Orient Festival is dedicated to cultures and traditions of the numerous countries attending, among them China, Japan, Korea, Tibet, India or Thailand. The programme is really complete with events of every kind like dance, music and martial arts performances, traditional ceremonies, exhibitions, workshops, food and drink tasting, display of bio natural disciplines or meditation and, obviously, many markets so you can bring typical artisan products at home. The city of Noto (or Nuoto in Sicilian dialect), in the province of Syracuse, is a treasure of Sicily. It’s in fact called “the Baroque Capital” because of its beautiful monuments: the Basilica di San Nicolò and other numerous churches; its public and private palaces like the Palazzo Ducezio or the Palazzo Nicolaci and many others. The city centre of Noto recently earned the title of UNESCO world heritage site thanks to its “stone garden”. 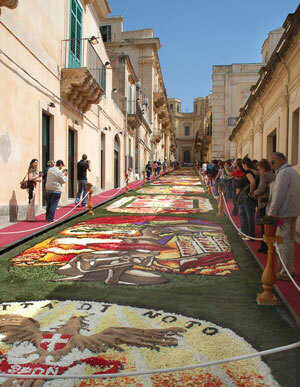 Each year, on the third Sunday of May, the city gets coloured by flowers during the Infiorata di Noto. This event takes place Friday 16, Saturday 17 and Sunday 18 but they are many other shows organised before and after the Infiorata, from April until June. The historical image of Venice full of parade boats belongs to the popular imagination and, today, some celebrations have brought back to life the maritime parades of the old times. 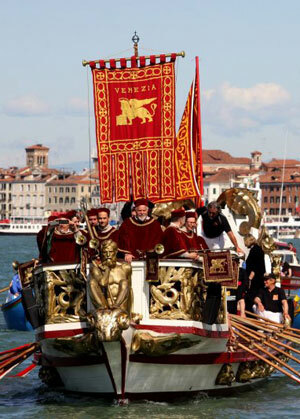 The Festa della Sensa is one of the most famous Venetian celebrations. It takes places every year on the Ascension Day (“sensa” meaning “ascension” in Venetian dialect) and is really ancient because it was established around the year 1000. The point was to remember the trip of the Doge Pietro II Orseolo who went to fight the Slavic pirates on the Adriatic and who freed the populations of Dalmatia. The economic, cultural and moral crisis of the recent years has brought into question many things in our European countries: can we really continue to live the same lifestyle as our parents? Do we still like the idea of a unified Europe? The theme of the 27th Turin International Book Fair for these 5 days, “the Good on sight”, will try to fight those negative ideas in order to give hope again to people and to create new values for our society. The Turin Fair is the biggest book event in Italy and the second in Europe after the Frankfurt Buchmesse. 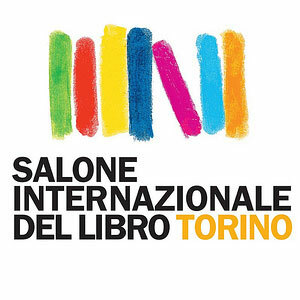 Its 300.000 visitors will have the opportunity to visit the 4 pavilions of the Lingotto Fiere area to search for the perfect book and will have the choice between 1500 exhibitors. NewsBlog About Italy wants to be a new way of reading and finding news, suggestions, tips, events and much more About Italy. The idea of this NewsBlog is to create a place were collect all the news about Italy, from the net and from our website’s network.